This blog on the subject of boat people, written by Migration Museum Project trustee Jill Rutter, is timely for a number of reasons. First, it is published in Refugee Week, when the UK’s attention is focused on the predicament of refugees. This year, Refugee Week is celebrating the contribution of refugees to the UK. (For an inspiring story on the current Mediterranean refugee situation, listen to Regina Catrambone – an Italian millionaire who set up Migrants Offshore Aid Station (MOAS) – talking on Tuesday 16 June’s Today programme – she is interviewed at 7.50am, 1 hour 52 minutes and 58 seconds in. MOAS’s ship, MY Phoenix, last year rescued 3,000 people in a three-month period alone.) Another reason this blog is so timely is that it coincides with a new venture which we are involved in at the National Maritime Museum in Greenwich, London, and for which the International Maritime Organization (see below in Jill’s blog) has created three short films, focusing on the migrants’ view, the captain’s view and the law of the sea. Each film – in the form of vox pops with a range of people visiting the museum, followed by facts and footage shot by IMO – is between two and three minutes long. Over the last month or so the world’s media have highlighted the plight of boat people risking their lives in an attempt to reach safety in Europe and South-East Asia. We have seen pitiful images of Rohingya Muslims fleeing Burma, and of migrants rescued from the Mediterranean. Since the late 1990s, migrants from the Middle East, South Asia, the Maghreb and sub-Saharan Africa have been using people smugglers to transport them across the Mediterranean. Ten years ago, Spain was a popular destination for these people, with over-crowded boats setting off in its direction from Senegal and Morocco. Today, migration flows have moved east, with boats now leaving Turkey, Egypt and Libya, and making for Greece and Italy. But the factors that drive people to entrust their lives to people smugglers remain the same: persecution and threats to life, worklessness and the belief that Europe offers a route out of poverty. 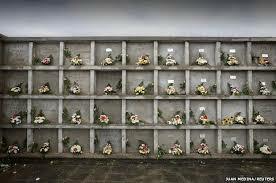 Antigua cemetery in Fuenteventura, Canary Islands with named and unnamed memorial tablets for migrants who have drowned. The image is by the acclaimed Juan Medina who has been photographing migrants for nearly 20 years. Nobody knows how many migrants have drowned in the Mediterranean. The International Organisation for Migration estimates 1,700 people have lost their lives this year and as many as 14,600 since 1993. This is almost certainly an underestimate, as the tally is based on retrieved bodies. 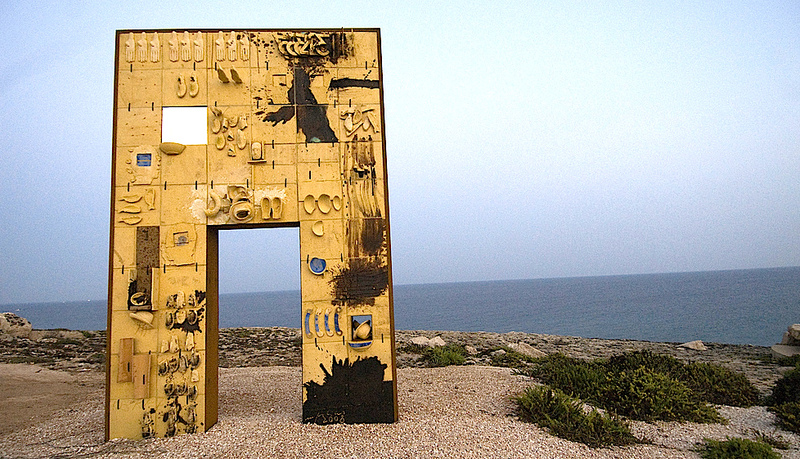 We will never know the real number of deaths and many of the sea victims remain nameless, as is evident from the memorials to them in Spain and Italy. Many people in Britain have been shocked by recent events, but the plight of the Mediterranean boat migrants can seem distant. Save for small numbers of Afghans, relatively few Mediterranean boat migrants now make it to Britain. Migration by sea may have been the usual route for most migrants coming to or leaving the UK until relatively recently, but almost all of them used the services of passenger shipping companies, rather than people smugglers. One exception was Vietnamese refugees, most of whom arrived in Britain by way of camps in Hong Kong. 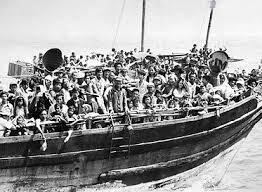 Between 1979 and 1992 the British government admitted about 24,500 Vietnamese refugees, most of whom had left Vietnam in a sea-borne exodus of over 800,000 people. Setting off in small boats, they made for other South-East Asian countries, including Hong Kong. In journeys that could take many weeks, the boat people had to contend with thirst, storms and piracy. Estimates of the numbers who died at sea can only be guessed at, but the United Nations High Commissioner for Refugees suggests that between 200,000 and 400,000 Vietnamese lost their lives at sea. South London and East London are now hubs for this community. The testimony of those who survived these journeys has been collected in a number of oral history projects. Looking back further into British history, there are two other noteworthy arrivals of boat migrants. About 60,000 Protestant Huguenots and Walloons arrived by boat between 1550 and 1720 – a highly skilled group whose numbers included silversmiths, silk weavers and bankers. Between May and November 1709 about 13,000 impoverished ‘Poor Palatines’ crossed the North Sea in overloaded boats. The Nine Years War (1688–97) and the War of Spanish Succession (1701–14), followed by a series of harsh winters and poor harvests, had created severe hardship in much of south-west Germany. Setting sail from Rotterdam in overladen boats, the migrants were, on arrival in Britain, initially sheltered in army tents on Blackheath and Camberwell in London. The Poor Palatines were mostly unskilled labourers and the failure to integrate them proved politically controversial. Most were eventually resettled in Ireland and North America, where their descendants included the Rockefeller family. 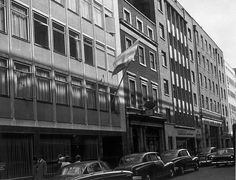 The IMO’s first headquarters in Chancery Lane, London. Although treaties on shipping pre-date the founding of the United Nations (UN), the IMO is part of the UN family. Two of its former secretary-generals have been British, and much of the IMO’s work on maritime search and rescue was taken forward by British staff. Today in the Mediterranean, the Royal Navy’s HMS Bulwark is part of Europe’s search-and-rescue mission. But, as the migrants are brought to safety, we should remember that boat people are not a new phenomenon – either as far as Britain is concerned or for the world as a whole. Jill Rutter is a trustee of the Migration Museum Project.